Fifty seven AEON schools are located within the Tobu Region, and its Head Office is in Shinjuku, Tokyo. The branch schools are spread throughout the following prefectures: Hokkaido, Aomori, Iwate, Miyagi, Akita, Yamagata, Fukushima, Ibaraki, Tochigi, Gunma, Saitama, Niigata, Yamanashi, and Nagano. 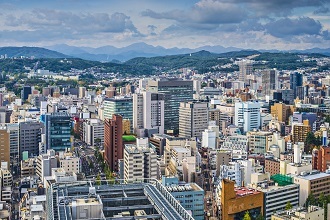 The Tobu Region has a number of large cities such as Sendai and Sapporo as well as an abundance of natural resources. The Tobu Region is also home to a lot of scenic beauty including the mountains of the Japan Alps, the rolling hills of Hokkaido, the rugged coastline along the Sea of Japan, and hundreds of hot springs. The region experiences mild to very cold and snowy winters. Temperatures in the north often drop below 0 °C (32 °F) and heavy snow is common. As one moves south toward Tokyo, winters tend to get milder. In summer, temperatures and humidity vary by the region. In Hokkaido, summers tend to be cooler and dryer, while the other prefectures tend to be hotter with more humidity. Students attending AEON schools in the Tobu Region are of a wide range of ages and come from a variety of backgrounds including businesspeople, homemakers, high school and university students, and retirees. During the daytime, classes tend to consist of children’s lessons, with students ranging from babies to junior high school students. In the evening, teachers typically teach more businesspeople and professionals. The student body at schools in smaller towns often forms a tight-knit community atmosphere and it’s not uncommon for teachers to attend local events with their students. Because the Tobu Region is so large, there is a wide variety of seasonal events and things to do. 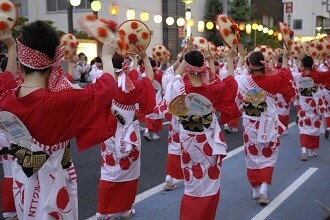 Summer festivals are popular across the region, and Sendai City is famous for its Tanabata Festival in August. Fireworks shows are also common throughout the summer, with some of the largest events held in Nagaoka, Tsuchiura, and Akita every year. In winter, teachers can visit Sapporo to see the world-famous Sapporo Snow Festival. In summer, Hokkaido’s rolling hills and wide open spaces offer fresh air and beautiful hikes. Every spring, the Nebuta festival in Aomori delights thousands of participants with a precession of large, illuminated floats depicting brave warriors and other traditional scenes. Along the Sea of Japan, Niigata and Akita Prefectures are known for their delicious rice, which also means some of the best Japanese sake is produced there and people come from all around to sample the drink at its source. Between those prefectures lies Yamagata known for its delicious cherries and persimmons, as well as skiing and snowboarding. The Tobu Region also has many popular sightseeing destinations, centered predominantly around the area’s rich history. 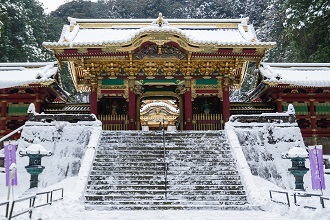 Nikko is home to the multiple shrines and temples that make up a UNESCO World Heritage Site. Chusonji in Iwate is famous for its Golden Pavilion, and Matsumoto Castle in Nagano is one of only two all-black castles in Japan. Hakodate, as an early port city, developed an interesting mix of the Japanese and Western culture and architecture that remains to this day. Closer to Tokyo, Kawagoe City has a traditional bell tower and old shopping streets reflective of the Edo Period (17th-19th Centuries). The landscape provides plentiful opportunities for outdoor activities such as skiing and snowboarding in the winter and hiking, climbing, and swimming in the warmer months. 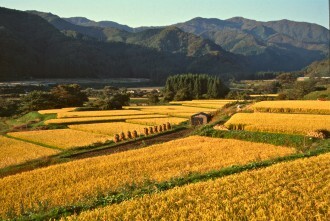 Since The Tobu Region provides much of Japan with fresh produce – there is a lot of farming and fishing. Each prefecture and city has its own specialties, some of which are seafood, fruit, soba, and dairy. The residents are also proud of their regional dishes, such as gyutan from Sendai, butter corn ramen from Aomori, wanko soba from Morioka, sasadango from Niigata, and houtou from Yamanashi. The Tobu Region is perfect for teachers who are looking to fully immerse themselves in the beauty of Japan. Click for more information about certain school locations in the Tobu region and comments from our teachers.